I’m a huge fan of The Best American Series. As a reader, and a teacher, I find them valuable beyond compare. There are a handful, such as poetry, non-required reading, short stories and science-fiction and fantasy, that have become annual purchases for me. Others I get when I see a good deal, since I don’t have the Best American Paycheck. One I picked up a couple months ago was The Best American Infographics 2015. I hoped that it would be a great classroom resource, as well as a very interesting read. Of course, I haven’t had time to actually read it all yet. However, since it’s a visual text, I did what many of us do, and flipped through it, looking for what popped. A lot of it does, which makes sense, as that is kind of the purpose of infographics, right? One infographic, however, popped out and screamed “Take me to class tomorrow!” and that was the one I’m writing about today. In this infographic, the creators arranged a series of tweets from a single subject, in this case, a young woman’s tweets about joining ISIS. My students had just completed research, and we were looking at various pieces we could include in a multigenre project. Seeing an opportunity to show them a new research skill, as well as a different way to share information, I hopped on it. I had them search hashtags related to the topics they had researched, and to collect tweets that resonated with them, that helped to give an overview of what Twitter could show about their subject. Interesting conversations, and discoveries, followed. Because I love titling our projects, we created Tweet-o-graphics. Editing- In an unconventional way, this lesson became one of my better lessons about editing. Often, as we’ve all seen, many writers focus primarily on the spelling and grammar during the editing stage. They don’t always look so deeply at the building of narrative or message. Since they were, in essence, crafting a piece made from quotes, they didn’t need to focus on conventions. As a result, their focus shifted to what they wanted to communicate. I really appreciated the opportunity to sit with students and discuss their pieces as they worked. For some, it was deciding which tweets to use. For others, it was deciding an order in which to present them. The fact is, aside from technical discussions about creating the piece, we talked a lot about how we put the words together. Their projects were dealing with social justice related issues, and we discussed choosing the tweets that best showcased the issues that they wanted, in ways that they felt they should be showcased. Also, since they’re young people choosing pretty hot-button issues, a social media platform like Twitter gave them a lot to sift through. This meant that there were a lot of discussions of things like tone and theme. They had to make decisions that would impact their piece as a whole. They needed to decide if they wanted to go with anger, frustration, humor or some combination of those. They had to cut “sentences,” or weigh the merit of two lines and choose the one that best fit. There were many valuable editing lessons in here that came across so much better because the students were using someone else’s words instead of their own, and as a result, didn’t have to kill their own darlings. Purpose- Integral to the lessons in editing was the focus on purpose. I made it clear that the purpose of creating our Tweet-o-graphics was to share information. As creators of the piece, we had control over how that message came across, the tone, and how the material was communicated, how we wanted it to be received. Purpose drives writing. Again, working with the words of others gives us a really great way to illustrate this. A prime example came up talking to two students who were looking at Donald Trump. They had his tweets to work with. They had the reactions to his tweets from his supporters and detractors to work with. They had a lot of material. So the discussion about what their purpose was became vital. Both wanted to express their disbelief and anger at some of his statements and actions. One student chose to focus her piece on the feminist side of things, and focus on angry responses to some of the more sexist things that have been said. The other decided to highlight material that she felt was culturally insensitive. Though they didn’t sit and write thesis statements per se, they had a purpose for what they were creating, a message they wanted to communicate. Having that purpose focused their creation, which I hope transfers into other writing activities. Presentation – This is being added as an afterthought. Initially I focused on the writing aspects of this mentor text. 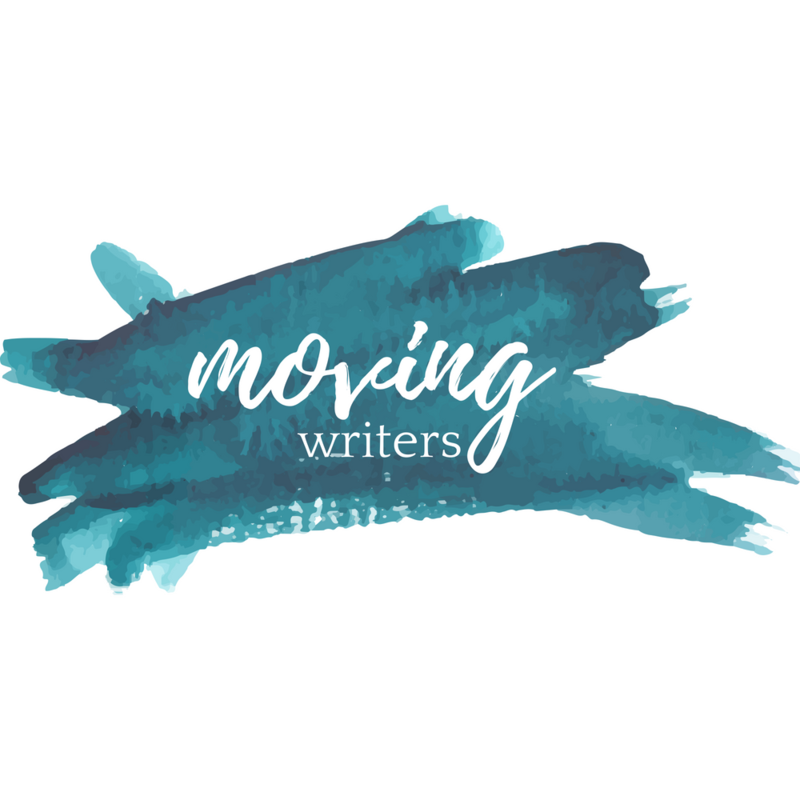 As I considered how I’d address members of the Moving Writers community asking questions about the creation of Tweet-o-graphics, I realized that that is actually part of the value of this as a mentor text. This text works not only because of its content, but also its presentation. We looked at the piece together, and discussed what the key features were. The annotation aspects, the time stamps and the images were things that the students felt were key. We agreed that we’d work to keep those. In our assignment, we were tasked with including no less than ten tweets, enough for a good sampling, but not overwhelming. I often do tech in a low tech way. We use PowerPoint a lot, even though there are likely better programs for this kind of work. I never have to worry about us never having PowerPoint though. We set our slide up as piece of 11×17 paper, and start cutting and pasting our tweets. Like the mentor text, we centered the text aspect. We pasted in our images. We dropped in lines to connected material we highlighted in the tweets to explanations in separate text boxes, creating the annotation elements of the mentor text. We realized that once we had created some elements, we could easily cut and paste them, giving us visual consistency. Though we used the mentor text as a guide, we didn’t set out to clone it. We agreed that we would use the key features of the mentor text, but could arrange them our own way in our individual pieces. The consistency within each piece was discussed though, because you know, style is important. One of my goals recently has been to work on ways to explore all six of the language arts more deeply. Visual literacy, in our day and age, is pretty darn important. The Tweet-o-graphic gives students an opportunity to explore visual literacy not only as a reader, but as a creator as well. In doing so, I feel they’ll also be developing a handful of skills that they can apply to other things that they create. I used this as a piece in a multigenre project. What other uses can you think of? How do you use infographics in your class?